Together Chicago s a non-profit focused on improving economic development, providing access to education, reducing violence, and mobilizing faith communities within the city of Chicago. 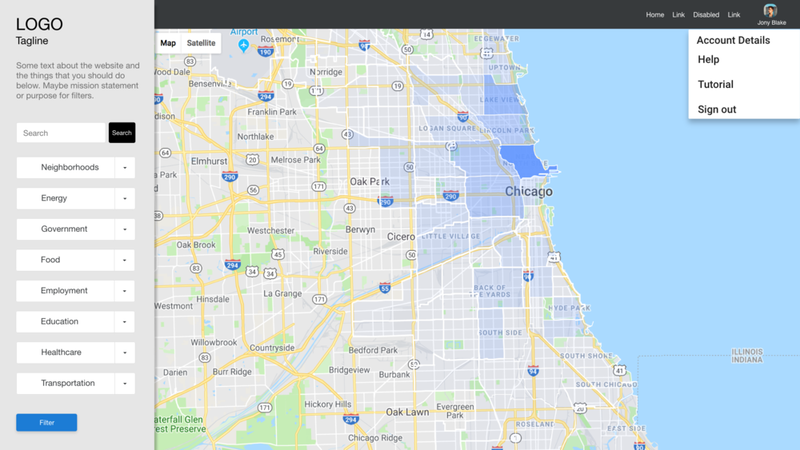 Our team has created an interactive web-based mapping application that displays open-sourced data of the City of Chicago in a searchable and filterable format. Data can also be analyzed and exported from the platform. 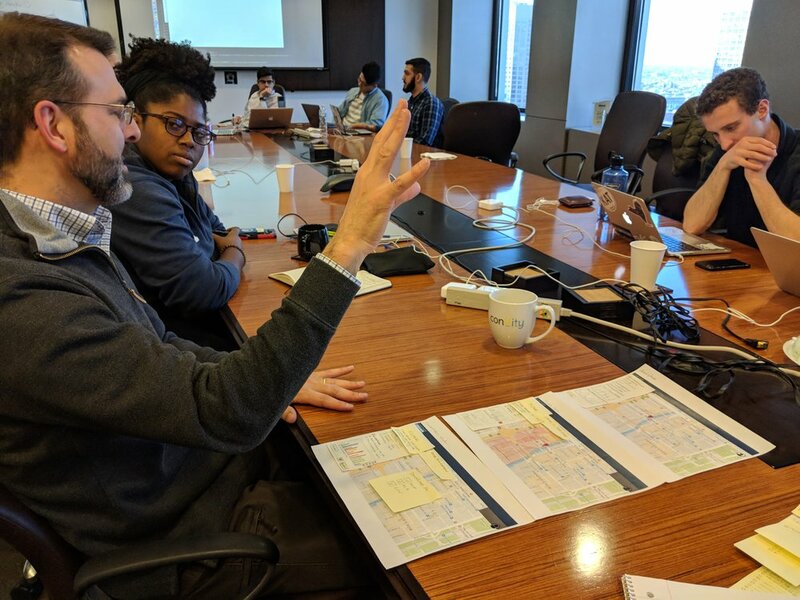 This project helps individuals and non-profits make better data-driven decisions that will provide a positive impact on the Chicago community. Design and feature decisions will be defined based on stakeholder and user interviews. Users do not want to be shown curated data correlations. Success is encouraging users to embrace unexpected conclusions. Biggest perceived user issues: navigation and intimidating datasets. Site design and development will be validated at every sprint with usability testing on prototypes. Most critical errors happened in the search filter sidebar. Testers showed confusion with default information and search capabilities. Default map view should include the entire city of Chicago and the search bar should be obvious. Final site build will be validated through user feedback with usability testing and formal feedback evaluations. Survey to target user population to gather more information about ideal data sets.